Strengthen and energize your body and mind in this fast paced quick flow. Have fun in this strong fast paced flow that will challenge you and celebrate your strength. Celebrate your strength in this fast flowing strong vinyasa class that will challenge you! Build heat in this fast paced quick flow designed to strengthen your entire body. Feel energized in this strong fast paced body warming flow designed to build strength and relieve stress. Move and flow with this challenging vinyasa class that combines breath with movement. Strengthen your core with challenging planks and lunge flow while connecting to the strength of breath. Build upper body strength, increase your heart rate while you move and flow in this fast paced class. 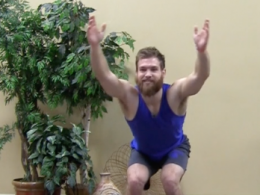 Build full body strength and get your heart rate up with this fast paced 30 minute flow. Challenging flow that moves fast, builds strength and increases heart rate. Be ready to sweat. Prepare to sweat with this fast moving, challenging flow class. 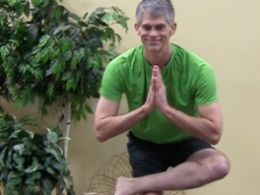 Grow in strength and balance with this quick thirty min. flow. Warm your body and add strength with this quick flow class. Build heat in the body in this fast paced, strong flowing challenging vinyasa flow. Embrace your strength in this fast paced thirty minute flow. Challenge yourself in this fast moving flow class that emphasizes strength. Move and flow at a slower pace connecting breath to movement. Be ready to sweat in this challenging fast paced flow class. Prepare for a full body and mind workout in this fast paced, strength based yoga flow. Take your strength to a new level with this challenging fast paced flow class. Energize your body, mind and spirit with this strong, slow flowing class. Take your body and your mind to a new level of strength this fast paced challenging flow. Challenge yourself physically and mentally in this fast paced, strong flowing class. Energize your body, clear your mind in this smooth flowing class. Fast moving intense workout that builds strength and endurance along with flexibility. Move through this strong slow flow to energize body, mind and spirit. Move with a strong, steady slow flow to energize you. Challenging, strong flow to increase energy and stamina. Flow at a slower pace, but still embrace your strength of body, mind and spirit. Create strength in the body and peace in the mind in this slow flowing class. Move and breathe through this strong, calm flowing class. Embrace your strength and ignite your inner flame as you flow through this challenging class. Strong, fast flow that builds strength and flexibility. Ignite your inner strength with this fire building challenging flow. Challenge yourself and move in this fast paced flow class. Move with strength in this fast paced quick flow class. Burn calories and get your heart rate up in this quick challenging flow class. Challenge yourself in this stamina building strong flow class. Fast paced flow that focuses on your true inner purpose. Celebrate your inner power and strength as you embrace "who you are as you are". Honor all those that sacrificed to help build America in this Labor Day class. Inspire yourself and embrace your strength in this fast paced, challenging flow.